Which one is your daily beater? As the title says which one is your daily watch beater? Love that Seiko of yours! Really nice looking! Which camera did you use for taking photo? Have you used flash or just an external lighting source? I see you like to use CSC cameras. I use myself a Olympus EP-5 and my husband has a OM-D E-M1. That Samsung has a very nice vintage look but fully packed underneath hood! The Canon EOS 7D is a beast but nice looking camera! The compact system cameras at least for me and my husband proved to be a miracle as we both like taking photos and this way we can travel much lighter. Don't know the Samsung system that well but would say noise should be fairly similar to latest Olympus and Panasonic offers which are already more than good enough in low light (at least for me) till ISO 3200. Looks great on the zulu! worn and washed a ton so it's become soft and comfy and just something about the grey makes the red and blue of the bezel really pop. 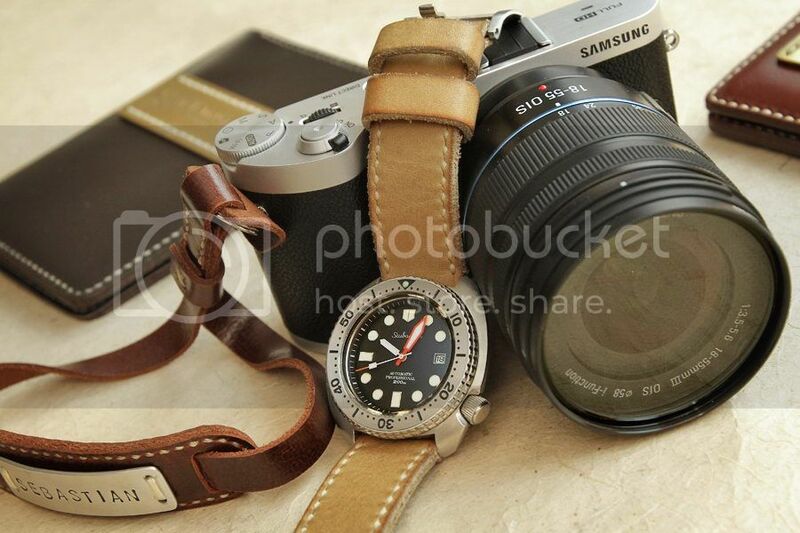 Yes, zulu and nato straps are always a good option and the zulu you use looks great! Mine is my Borealis Sea Hawk. Fantastic watch! 1500m diver watch that is what I call over engineering a watch but nice Tudor tribute! ^ It's the most comfortable watch I own. some sellers are just better at communicating with English speakers. Only thing is that the PayPal currency conversion rates can be lame. My daily wear is the Deep Blue 45mm Juggernaut III IN BLK//BLK ON SS.